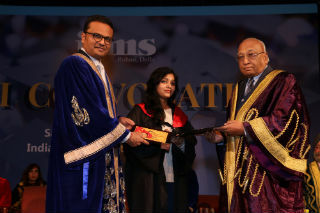 Jagan Institute of Management Studies, Rohini, Delhi (JIMS) organized its XXII Convocation in Stein Auditorium, India Habitat Centre on 7th January 2017. 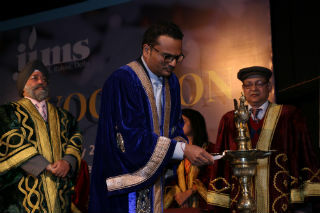 In this convocation the 2016 passouts of PGDM, PGDM–IB, PGDM–RM, MCA, BBA, BCA received their diplomas and degrees. 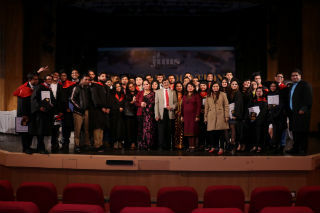 Apart from a large number of recipients of diplomas and degrees, the event was attended by the members of Governing Board, the Academic Advisory Council, the Faculty members and some invited Guests and Parents. 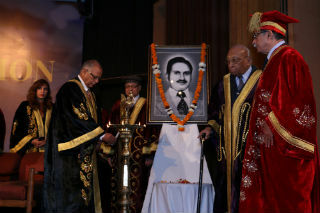 The convocation opened with a floral tribute to Late Sh. 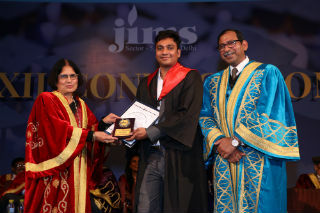 Jagan Nath Gupta. 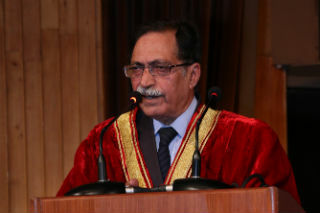 In his welcomed address, the Director of the institute Dr. J.K. Goyal stated that a total number of 235 students of the PGDM, PGDM-IB, PGDM-RM shall be receiving Post Graduate Diploma in Management; out of which 7 of them are doing it with distinction and 169 are completing their diploma with first division. 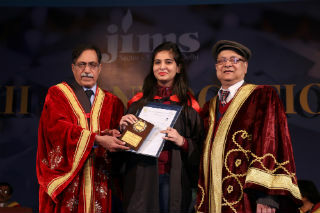 He further informed that the institute has been able to achieve excellent placements through campus for these outgoing students with an average salary of more than Rs. 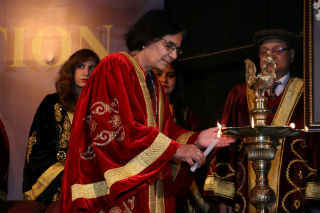 4 Lakh per annum. 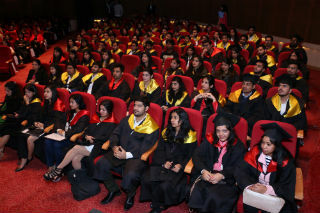 Apart from the traditional recruiters, 37 new companies also visited the institute last year. 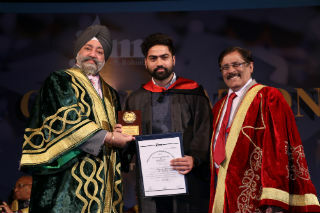 He further said that the academic result of GGSIP University affiliated programs namely MCA, BBA and BCA were equally impressive. 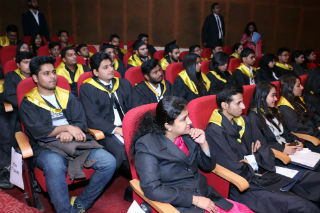 Almost the entire batch of MCA students has completed their degrees either with distinction or with first division. 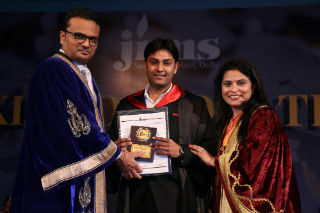 In BCA program Mr. Mohit Jain not only topped the institution but was also among the toppers of the university. 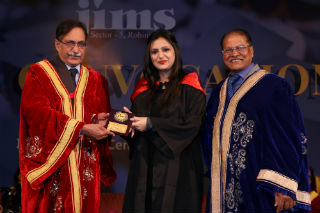 Dr. Goyal congratulated all the outgoing students and advised them to continue their quest for knowledge in professional life as well. 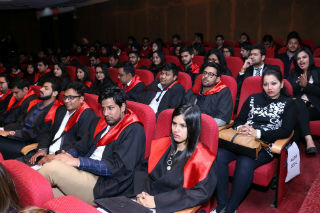 The Chairman of the Institution Mr. Manish Gupta, gave the students a few useful tips for their future career and growth. 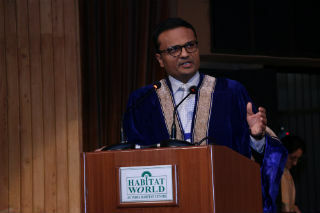 He advised the students to the remain focussed and dedicated towards the work and try to be innovative at their work places. 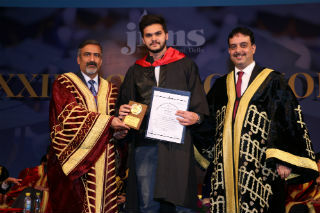 He further told the students to explore the possibility of becoming an entrepreneur and assured the students every help and guidance in this field. Mr. S.P. 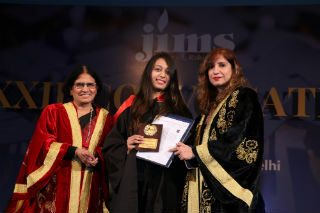 Marwah, member, Governing Board, encouraged the students to take on the corporate life with complete confidence and fearlessness. 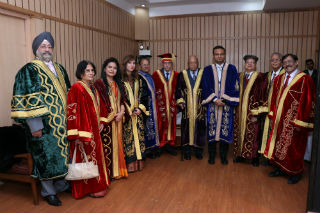 He told the outgoing batch that the future belonged to them. Mr. T.S. 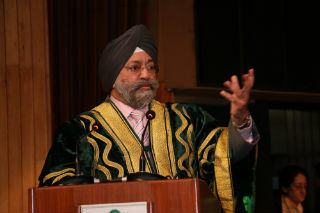 Ahluwalia, a member of the Academic Advisory Council called upon the students to be self employed and innovating. 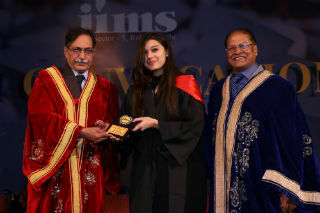 He said that self belief and commitment are very important in life. 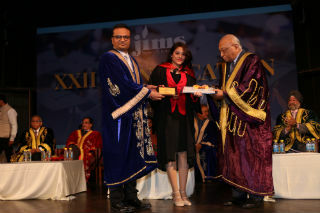 The toppers of all the programs were first to be conferred with degrees and diplomas along with Gold, Silver and Copper medals and mementoes. 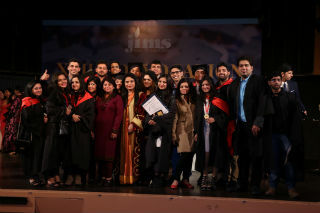 Thereafter, all the students were called on stage one by one to recieve their diplomas and degrees. 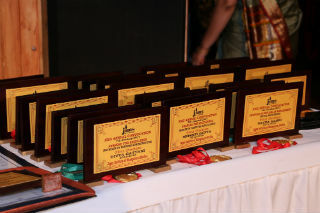 The grand event was concluded with a vote of thanks and followed by the National Anthem. 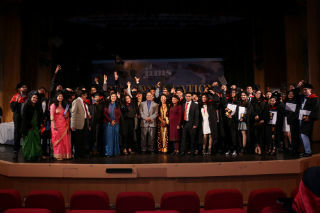 All the recipients of diplomas and degrees were extremely happy and were feeling very proud.